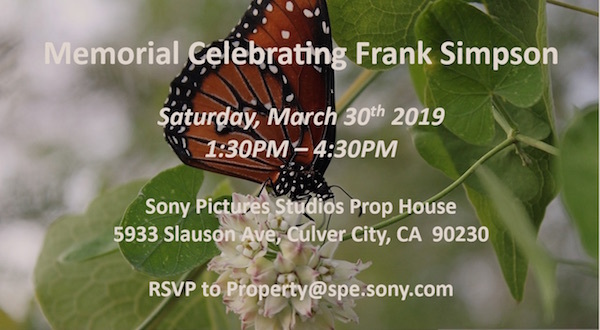 Former Director of the Property Department at Sony Pictures Studios and member of the Set Decorators Society of America International Hall of Fame, Frank Simpson died early March 2019, just months after retirement from Sony. Frank died of complications from lung cancer, those who knew him know what a valiant fight he waged. 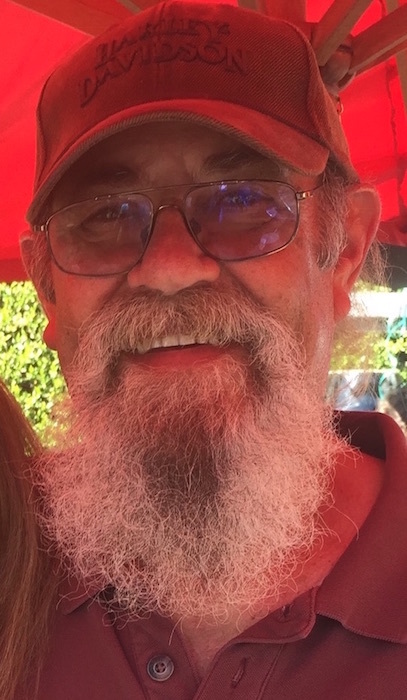 In his youth, Frank and his family lived in the Carolinas, Georgia and Tennessee before his father's career with Texaco brought them to Westlake Village, California. Upon landing in California, Frank remained in Southern California, even living for a time on a boat in the marina. It was then he began a 40-year career with Sony Pictures Entertainment, finishing up serving as Director of Sony Property Department for a decade before retiring in 2018. Known to be a hard working man and a gentleman, he worked alongside his crew, set decorators, and others in the industry, contributing to movie and TV scenes viewed by millions around the world. His integrity, loyalty and great heart earned him the respect and love of everyone fortunate enough to know him. Frank was inducted into the Set Decorators Society of America International Hall of Fame in 2015. Set Decorator Brandi Kalish SDSA International said of Frank: “When I first came to Sony, Frank was so kind to me, he never treated anyone differently, everyone was equal, whether you were a Set Decorator first starting out or a driver or set dresser, everyone felt Frank was their friend. He always was calm & kind even though there were times I was in a hurry. Frank also was one of the hardest working people in this industry, always dedicating his time to his job. We all owe a lot to him and his work. His dog always was there, under his desk guarding him, also a kind soul. He is survived by his parents, Frank and Julia Simpson, his sister Susanne and brother Dean, and an extended family throughout the United States. He loved and spoiled his sweetheart, Teresa Tracy, for 18 years, and will be missed by a huge group of film industry players.